Available in various thicknesses to alter compression. 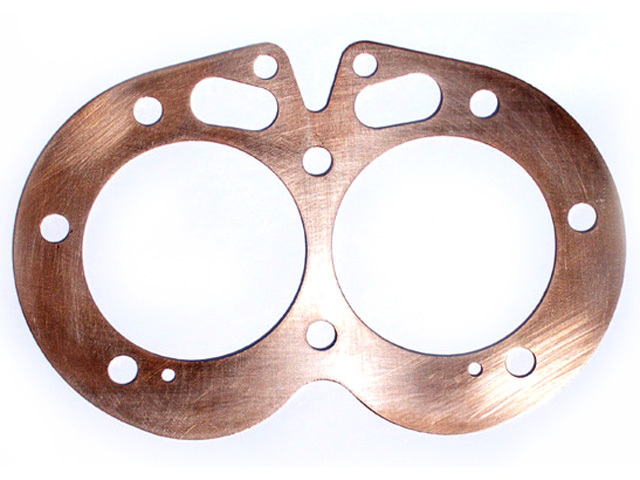 3/32″ and 1/8″ gaskets are available on special order at double the cost (contact us). Crushable thin .005″ copper wire is provided for looping around the pushrod tunnels to prevent leaks. Use pliobond sealant (more info).